Sometimes it seems the older we get the more forgetful we are. Many of us blame it on age and some of us even blame it on having too much to do. But there are things we can do that will help us improve our memory and help us improve our life overall. As if we didn’t have enough to worry about; being over weight not only harms our body it hurts our brains as well. Exercise will help improve your overall mental and physical health. Exercise gets blood pumping through your heart and helps to reduce the plaque that forms in your blood vessels. Your brain also has blood vessels so your goal is to get and keep your blood flowing through all of your blood vessels to prevent compromised brain and body activity. No, you do not have to run a marathon every day. But regular cardio exercise will help you not only maintain (or lose) weight, it will also help keep your brain sharp and focused. If you suffer from stress, depression or anxiety it might be important to seek professional help. Stress, depression and anxiety, over time, eat away at your brain. The area they start at first is generally the area of your brain tasked with memory. We have all known stress isn’t good for your heart or your weight, but to know that the way you handle those things that you face on a daily basis could also be responsible for decreased memory is certainly worthy of looking for new ways to handle life’s difficulties. If you suffer from depression, it is especially important to make sure you are receiving treatment. Long term depression increases the levels of cortisol in the body. Increased levels of cortisol are dangerous to your brain. Those who suffer from long term depression and long term increased cortisol levels are at increased risk for damage to the areas of the brain that allow you to remember anything new. We could all certainly benefit from learning new ways to handle our stress before letting the problem become too long term. We all know we need regular amounts of sleep. Generally people need between 7-9 hours of good sleep a night to operate at optimal level. We also know that, for a variety of reasons, we cannot always get a solid 8 hours of sleep. If you are one of those, at least try and get good solid catnaps in during the day to refresh your brain and body. Believe it or not, our brains need fat. They are made up of a lot of fat to protect to the nerves and cells. When we go on fat restricted diets, our bodies begin to eat the fat from wherever it can find it and sometimes that means the fat that surrounds our brain. This actually harms your brain. The more insulation your brain is providing to the nerves and cells the faster information is transferred across the cells and the better you will think. This does not mean that you need to go out and eat a high fat diet. It is all about balance. Fish and dark leafy green vegetables are excellent sources of the proper amount of fats and nutrients to help your brain work at its best. Terry Ford wrote this in cooperation with R. Cartee. 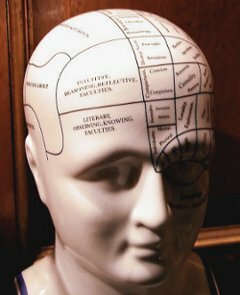 How To Improve Your Memory was posted in Learning by Guest Author.